We’re so excited to announce our 17th annual ‘For the Love of Words’ fundraiser on Friday April 26th at 7:30 pm at the Guelph Youth Music Centre, 75 Cardigan St.! Funded by the Ministry of Training, Colleges and Universities, The United Way of Guelph, Wellington, Dufferin, and numerous donors and supporters, for over 30 years Action Read has provided free and accessible programs that have changed the lives of hundreds of people in Guelph through improved literacy, numeracy and computer skills. Executive director Mira Clarke states: “Many people in Guelph are passionate about poetry, storytelling and community. 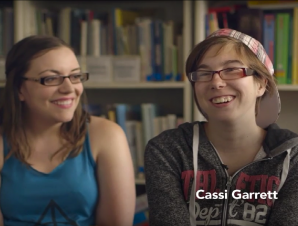 A fundraiser that celebrates and inspires through words and human expression is a perfect fit for our work.” It’s also a great way to celebrate National Poetry Month, while raising funds for our programs, she says. 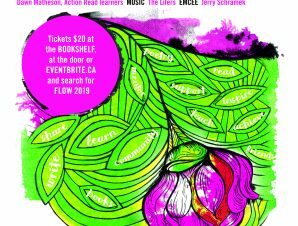 Tickets are only $20 and are available at the Bookshelf, on EventBrite.ca (search FLOW 2019), at Action Read and at the door. A one-of-a-kind silent auction made possible by the dedicated support of numerous local artists, restaurants and businesses will also be available. Action Read would like to thank the 2019 event sponsors who generously help countless individuals in our community through their support of this event. These include Canadian Scholars, RBC Royal Bank, The Guelph & District Labour Council, Guelph Music, TAMBRO Construction, Chaplin Renovation & Construction, WriteDesign, and Wellington Brewery. This is a licensed event. It’s also a rollicking good time! For more information, call 519-836-2759, visit us at actionread.com, Facebook or stop by our centre at 8 Cork St. E, downtown Guelph.